Hello! Welcome to our best ever Christmas Grotto. 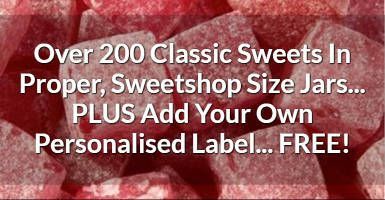 As well as the usual categories of treats that you can see below, for Christmas 2017 we've launched a mega-range of over 200 sweets which you can buy in proper, old-school, BIG sweetshop jars. And even better still, you can add your own personalised label to every single one of them.